Wadi Hesa : the end side toward The Dead Sea. Wadi Al-Hesa goes around 25 km from the potash mines near the desert high way, all the way down to reach to Ghor Al-Safi on the Dead Sea. Most of its Water comes from Sad Al-Tanur -Water Dam-, which took its name from the archeological site near by in Khirbet Al-Tanur. The water in most of the parts runs in a gorge that varies in the different areas going from Limestone to Sand Stone, and to sediment walls in other parts. Many water source seeps from its walls, some from hot sources while others are cold. Some of these water sources are even drinkable. (Check the canyon map below). The wildlife in Wadi Al-Hesa is fascinating, different kinds of bird species, plants, and the hanging gardens from its walls, all comes together to draw an image of a wilderness area, that is hard to be found anywhere else in Jordan. 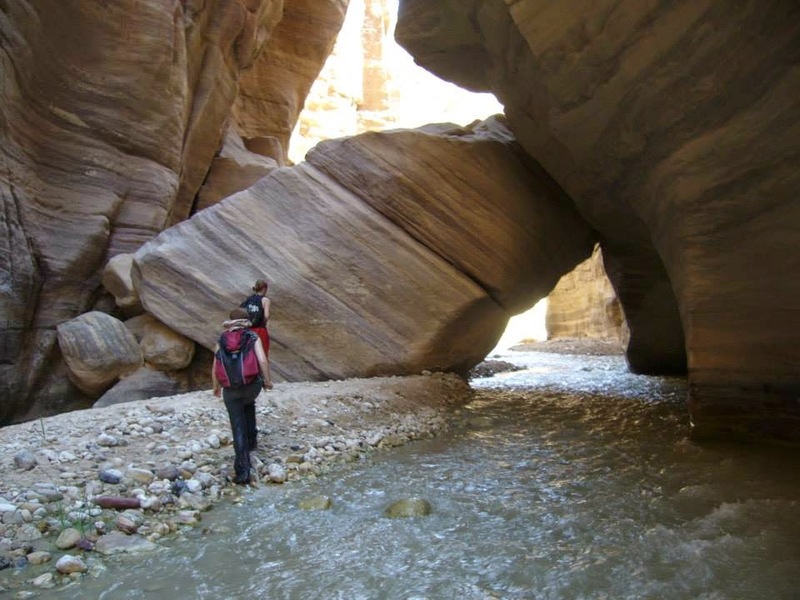 The Canyon is also one of many biblical areas that is scattered all over the country, with many referrals to it in the Bible, which was mentioned as "Nahal Zered" -the river of Zered-, which also the traditional border between Moab and Edom. It is depicted on the mosaic map of Madaba. Post by Explore Jordan Adventure.